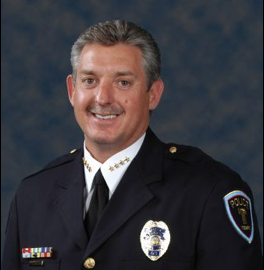 This thug organization, ran by Tempe Police Chief Tom Ryff, is devoid of all credibility and honor. The tapes you are about to listen to were obtained sometime in 1997 when Ryff was a lieutenant with the department. Some, including Tempe’s City Manager and City Attorney, have questioned the timeliness and authenticity of the tapes. The aforementioned individuals are also not allowing the FBI to review a full, unedited version of the tapes to verify their authenticity. These tapes further substantiate my claims of the Tempe Police intentionally lying to the public to cover their negligence the night I was arrested July 22, 2008. It also furthers the point these thugs have little to no integrity and should not be allowed to wear a badge while acting under color of law with their playground, country club mentalities. If I may make a suggestion to all the thug, sh** for brains terrorist cops out there: learn to press the [STOP] button after recording the audio narrative of your reports. This entry was posted in Tempe and Maricopa County Arizona News and tagged Tempe Police, Tom Ryff on January 30, 2009 by admin. Do you know officer’s lying on their police reports, to make an unjustified arrest? I admit, I have not been on this webpage in a long time… however it was another joy to see It is such an important topic and ignored by so many, even professionals. Really astonishing facts. I would not expect such from our Tempe police chief.